In the heart of San Francisco, there is a quiet residential neighborhood that has earned a reputation for being a “village within the city.” A traditional working-class neighborhood, it gradually evolved into a highly desirable residential area for people who sought to have the amenities of a smaller village without having to leave the confines of the city. In the years before the arrival of Europeans, the indigenous peoples may well have lived in what is now Noe Valley – and they almost certainly hunted deer here – but there is no evidence of a major settlement having existed prior to the arrival of the Spanish. In March 1776, a party led by Juan Bautista de Anza and Jose Joaquin Moraga arrived in what is now San Francisco. They were looking for sites near San Francisco Bay for both a presidio – or military post – and a mission. As with much of the rest of the Bay Area, land in what is now Noe Valley was granted by the government to ranchers and families who had been living in California since before Mexico had declared its independence from Spain. Among the land grants within present San Francisco were those issued to families such as De Haro, Leese, Bernal, Galindo, and Noe. Two-time San Francisco alcalde (mayor) Jose de Jesus received the grant for Rancho de San Miguel, which includes what is now Noe Valley. 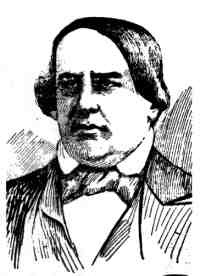 If Jose de Jesus Noe can be considered the namesake of Noe Valley, it can be argued that John Meirs Horner was the father of Noe Valley. Before Noe Valley was know as Noe Valley, it was known as “Horner’s Addition,” after the man who turned the rolling pastures of Rancho de San Miguel into some semblance of an urban neighborhood. In 1846, Horner arrived in what is now San Francisco and purchased a slice of Rancho de San Miguel. Planning to sell lots for homes, Horner laid out the present street grid and named the streets. He named one of his new thoroughfares Elizabeth Street in honor of Mrs. Horner. During the late 19th century, Noe Valley gradually made the transition from ranch to farm to working-class suburb filled with homes and businesses constructed in the picturesque Victorian architectural style that is still part of the character of Noe Valley.